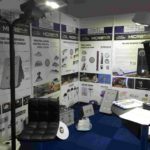 Litho Circuits are delighted tp announce that they have been appointed as sole distributor in Ireland for Microplus Germany (lighting products). Microplus Germany Group, a leading engineering design, manufacturing, quality control and software development company in the Led Lighting Marketplace. The Microplus Germany Group is result of the several companies contribution with over 18-years’ experience and innovation in the industry. Litho Circuits and MicroPlus Germany Exhibit @ LuxLive 2016 showing new developments in Led Lighting for commercial, public and retail markets.